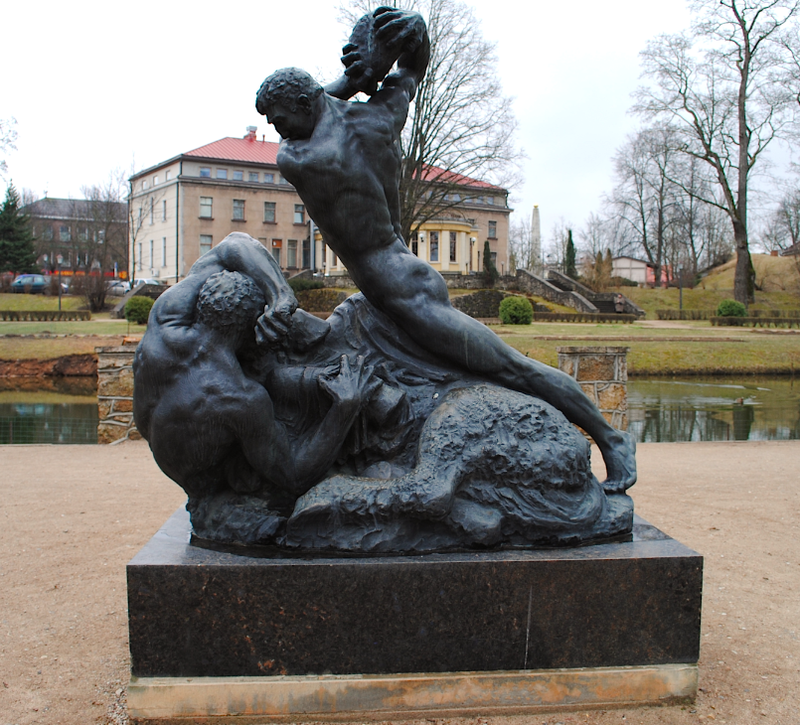 Located in Maija Park in Cesis is the bronze sculpture Cīņa ar kentauru – Battle with centaur. 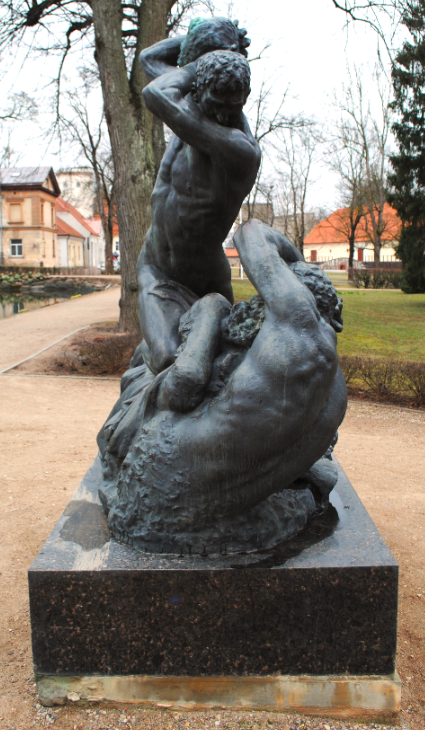 The sculpture was originally a plaster model by the Latvian sculptor Kārlis Jansons which was kept in storage until 1977. 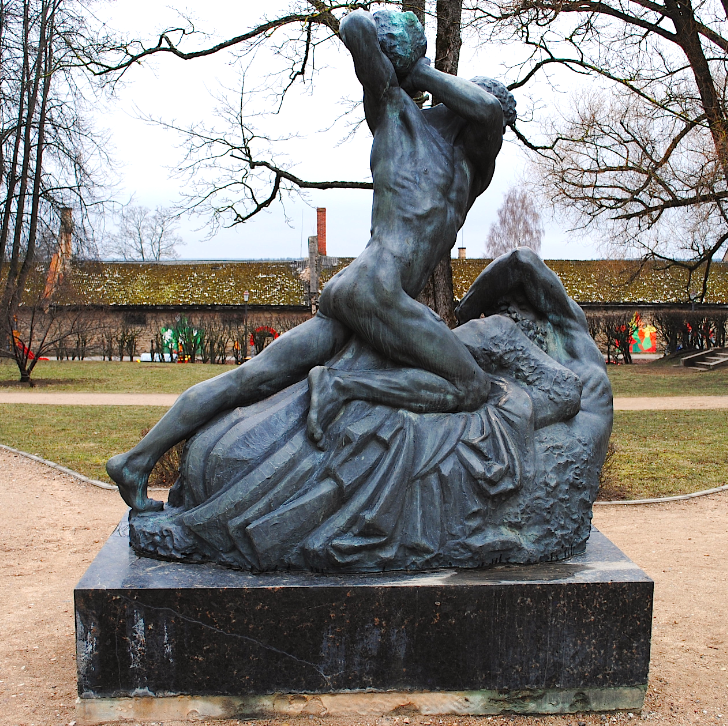 The plaster sculpture was subsequently moulded in bronze and placed in the square on Lielās Katrīnas Street.